An ideal complement to your everyday look, this band ring consists of three rings silver, gold and pink gold. A silver ring has a rhombus motif, a pink gold ring is smooth and a gold ring is adorned with crystal studs. 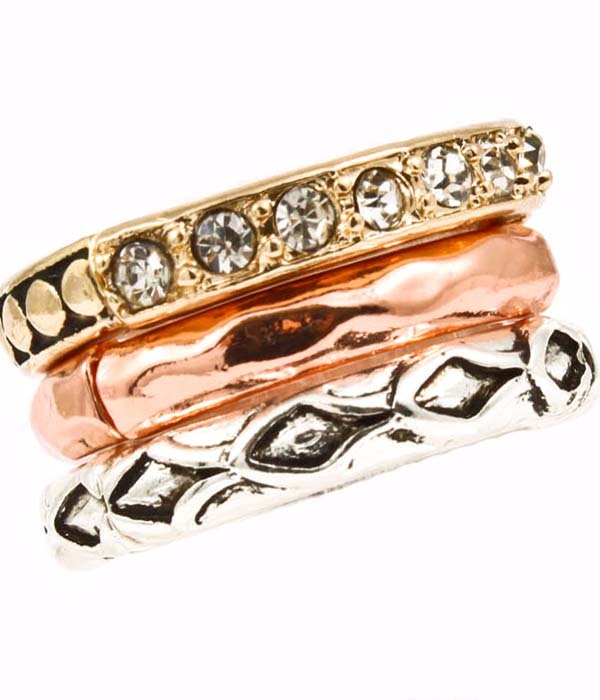 Add any of our attractive band rings to your favorite summer outfit and make it pop!